For Saint Valentine day get your own Italian fairytale! If you still don’t know where to go with your beloved one, here is a selection of the most delightfully romantic destinations in Italy! 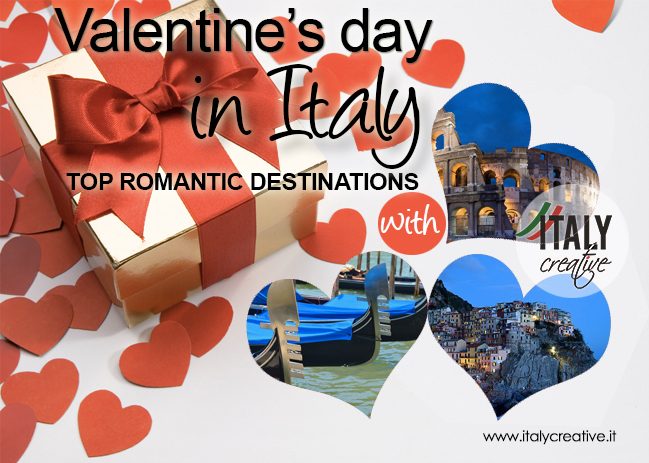 There are several ways to have a great time for Valentine’s day in Italy. Imagine how beautiful it would be to do all this in some of the most amazing locations which have often been also the setting for unforgettable cinematic love scenes. Here are some ideas you must consider if you want to celebrate Saint Valentine day Italian Style! We gathered some traditional destinations such as Verona, Venice, Florence, Rome, and others which are off the beaten path like Varenna, Riomaggiore, Castell’Arquato, Pienza. Ask for the detailed program for your preferred enchanting moment! 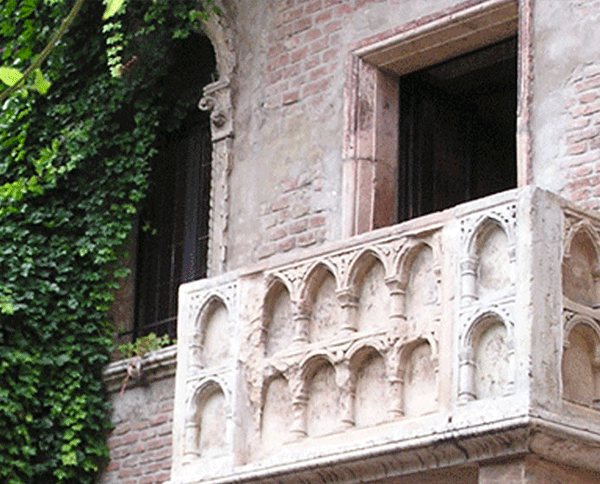 Verona is the lovers’ town, the city of Romeo and Juliet, and has plenty of romantic options. Enchanting moments: take an old fashioned carriage ride, wander through the Piazza Bra, the main square in the city, admire the giant red heart painted in the Piazza dei Signori, strolling along the river and in the narrow old streets, or relaxing in an outdoor cafe on a renaissance square, stop by Juliet’s house, complete with her balcony and statue, and write your love letter, enjoy a romantic walk are Piazza delle Erbe, where you can sit and have an Aperitivo, admire the old bridge, the roman theater, stroll around Verona Arena that hosts enormous operatic productions, and is famous for the charming cafés around it, or enjoy the fantastic views from the belvedere at Giardino Giusti, the breathless renaissance garden. Where to stay: in a historic mansion, a luxury boutique guest house offering an exclusive accommodation. Gift ideas: leatherwear, high quality shoe production, handbags, fragrance stores, jewellery, stamps, paintings, antique shops and art galleries. Book your preferred enchanting moment! 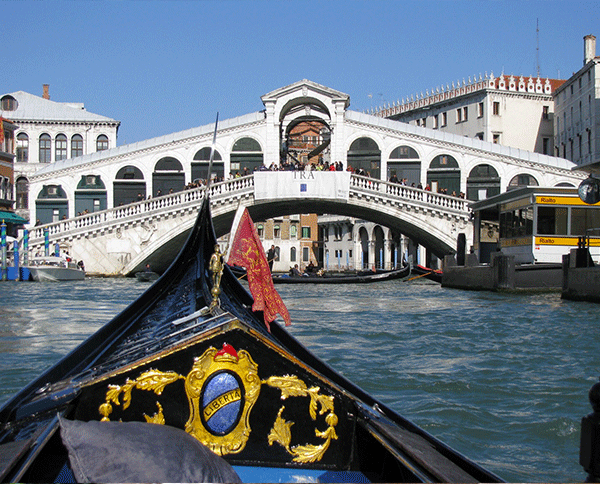 Venice with its enchanted atmosphere is one of the best settings for a romantic holiday. Enchanting moments: St. Mark’s Square in the most popular attraction in the city, admiring the beautiful Doge’s palace, then a Gondola Ride Experience serenaded with traditional Venetian songs by your gondolier into the most beautiful and remote corners of this magical town, passing under the Bridge of Sights, having a romantic, candle-lit dinner overlooking a quiet canal. Where to stay: in a former Doge’s 16th-century residence, original 18th-century furniture, Murano-glass lamps and Persian carpets. Gift ideas: Murano glass jewellery (traditional murrina), Burano lace, necklace of pearls, carnival masks, hand-made paper, books, hand-made wooden puzzles and creations, Venetian doorknockers, Baicoli typical Venetian biscuits, marble and resin hand-made and hand-painted model of Venice, gondolier’s hat. Florence is the perfect city to spend this romantic day for all the sweethearts and itt lures couples with its enchanting Renaissance atmosphere. Enchanting moments: A candle-lit dinner at a restaurant near the beautiful Ponte Vecchio bridge, considered the most romantic spot in the city center, and a stop in Piazzale Michelangelo, for an amazing view of the town. 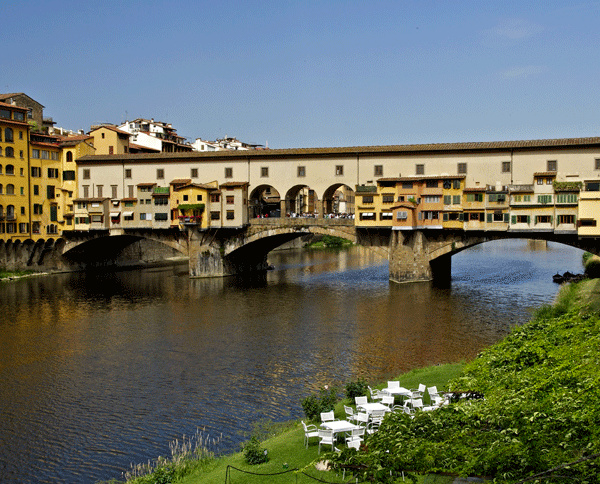 Florence is a perfect romantic scenario. Where to stay: in a boutinque themed design hotel. Gift ideas: leather goods – shoes, stylish scarves, jewelry, perfumes, stationery – paper, gloves, ceramics, designer and vintage fashion, embroidery. 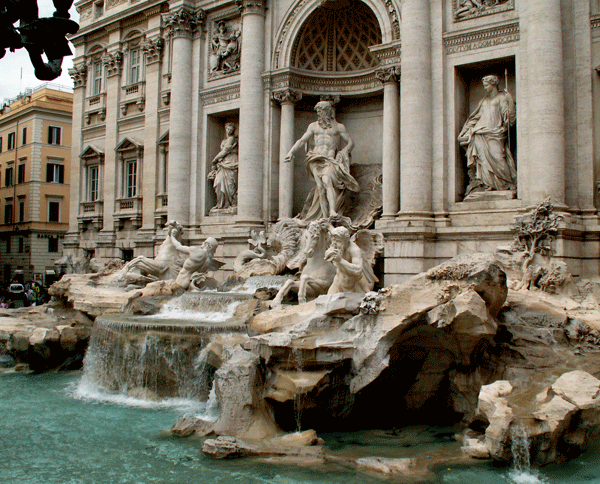 Rome, the eternal city blends together art, religion, and beauty, and offers a lot of romantic places and has often been a source of inspiration for love. Enchanting moments: stroll by the Spanish Steps, tossing a coin into the Trevi fountain, take an old fashioned carriage ride, walk hand-in-hand through Villa Pamphili Park, walk along the Roman Forum and admire the Colosseum, ride on one of the many boats sailing the river Tevere, sitting atop Gianicolo hill and overlooking the city, having a dinner in a restaurant playing local music. Where to stay: in a boutique hotel. Gift ideas: exclusive designer products, fashion. Varenna is one of the romantic small towns in a sunny position facing south and offers a stunning panorama over one of the most beautiful sections of Lake Como with Bellagio in front and Menaggio to the right. Enchanting moments: Varenna is one of the best preserved medieval centers of the entire Lake Como area, with its charming, steep cobblestone streets, porticos and historic churches. Take the scenic and romantic Passeggiata degli Innamorati (Lovers’ walk) that from Varenna’s Pier runs along the edge of the lake leading to the historic center, walk into the fortress the Castrum of Vezio that once dominated Varenna offers a unique panorama over Varenna and the lake area. 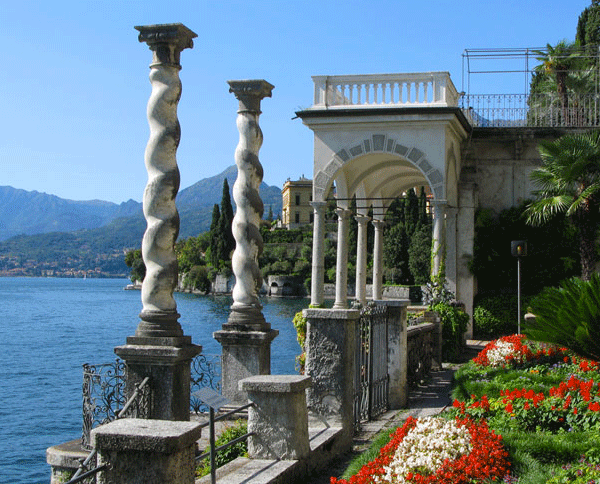 Visit the Villa Monastero was once a Cistercian female convent and take the lakeside promenade in the center of the old borgo of Varenna and dinner in one of the cosy restaurants. Where to stay: in a 16th century villa in a stuning position with beautiful views over both the branches of Lake Como. Sweethearts gift ideas: a variety of silk items, haute couture, souvenirs. Riomaggiore is one of the five villages of the famous The Cinque Terre, together with Vernazza, Corniglia, Monterosso, and Manarola, and has a great deal of charm. Enchanting moments: walk on its lovely main street, with lots of shops and cafes. The old houses of this medieval village are clustered in the narrow valley of a mountain stream with a tiny fishing harbour lies in a creek. 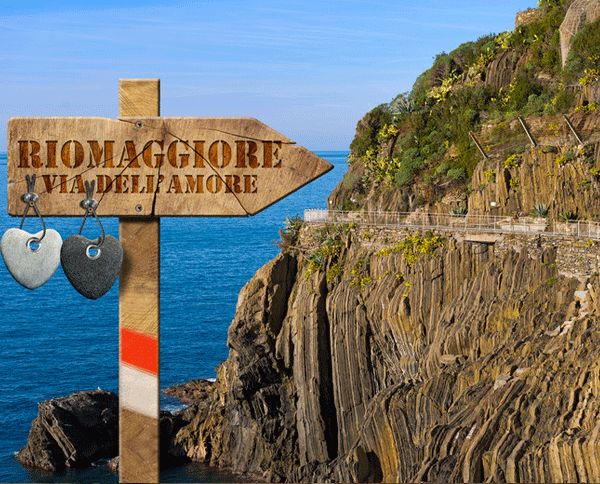 Riomaggiore is a charming place and the home of the pathway, from Manarola to Riomaggiore, called Via dell’ Amore (Way of Love) where sweethearts have walked together for generations. You can stroll along the stunning coast path, hand-in-hand on the scenic Sentiero Azzurro which connects the five villages and stop at the Vertical Bar before having dinner in one of the romantic restaurants. Where to stay: in a tiny hotel nestled in incomparable scenery with the style of an elegant private villa. Gift ideas: handmade Italian jewelry and beautifully crafted scarves, food and wine. 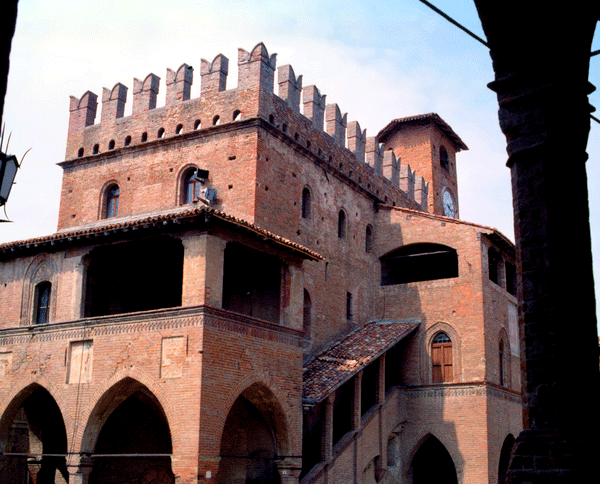 Castell’Arquato is in the Val d’Arda in the Emila Romagan region of northern Italy. It is a very picturesque hill town and the castle is at the top of the town. Enchanting moments: The area also has gorgeous countryside, and the best food in the country. Walk on the charming street that leads to the monumental part of town with a few shops, restaurants and historic buildings like a 16th century tower and the Palazzo del Duca and the fountain from 1292. At the top of the hill enjoy the Piazza Municipio, Palazzo Pretorio, the clocktower, restaurants, and an the Enoteca Communale, where you can taste wines of the area. Near the castle is a Romanesque church and abbey and great views of the surrounding countryside. Where to stay: in a small luxury boutique hotel near a medieval castle, the ultimate in romance! Gift ideas: food and wine. Pienza is a Unesco world heritage site in the Val D’Orcia. Enchanting moments: stroll around this city, famous as being the first example of Renaissance as the town bult according to architectural criteria of antique classics. You’ll appreciate the impact this has directly on the human soul, stimulating spiritual well being. It’s a perfect place for sweethearts. 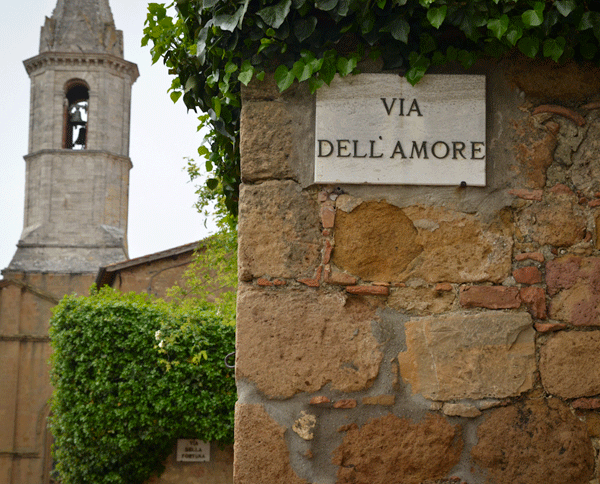 The old walls and buildings are full of atmosphere and makes of Pienza a fantastic romantic destination. Where to stay: in a 13th century Franciscan Convent, today an elegant, unique and comfortable hotel. Gift ideas: hand-made ceramica and leather good.